Acknowledge religious achievement, such as first communion, Bar Mitzvah or Bat Mitzvah, with our Color Religion Plaque! This handsome black plaque features a full color praying hands image on a holy text. The black plate is edged in gold, with your personal engraving in gold letters. 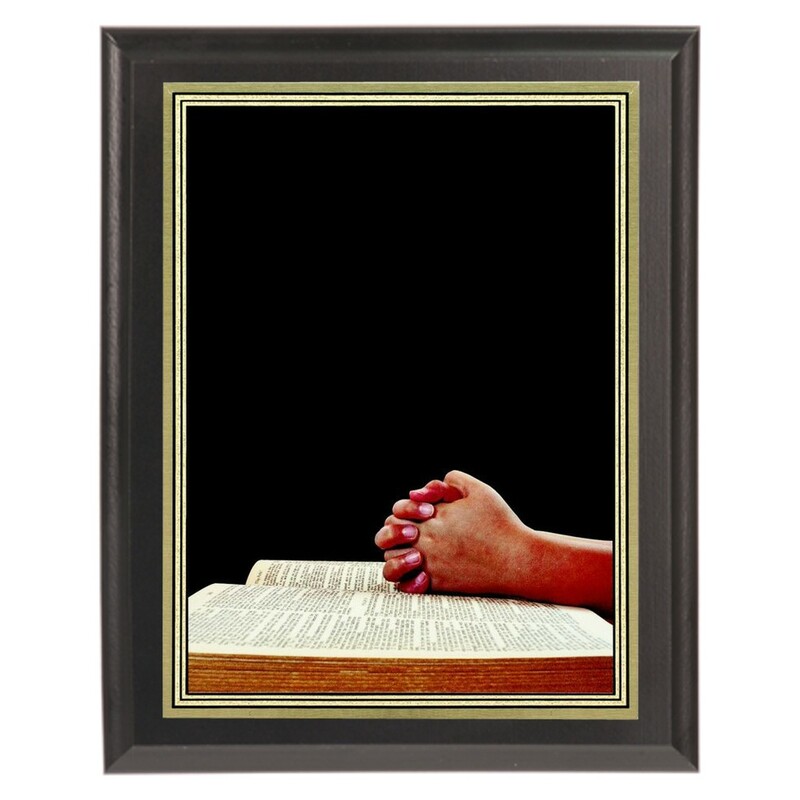 Available in two sizes, this plaque is great for any kind of special religious recognition!